Writers, producers and other "talents" of GMA-7 are protesting against the network over its refusal to regularize their employment. 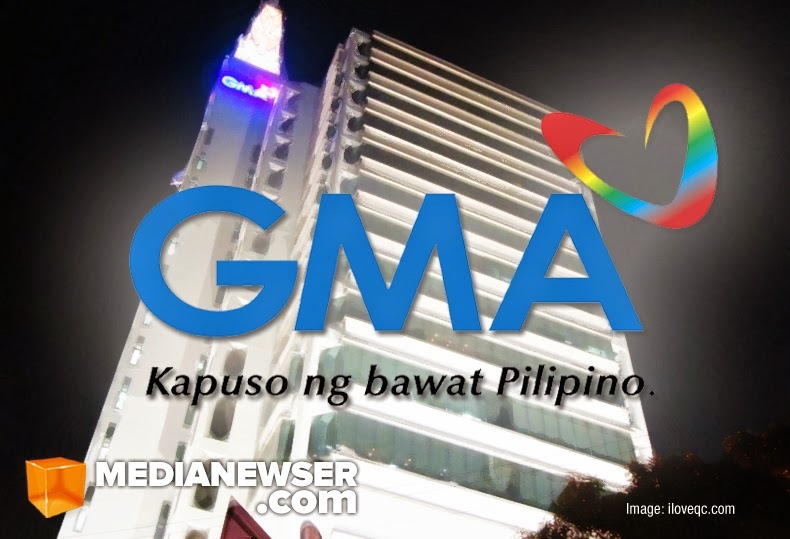 Contending what they call "unfair labor practice," members of the Talents Association of GMA or TAG filed a case with the National Labor Relations Commission against the Kapuso Network in May. You may remember that we reported a similar story that same month, wherein GMA employees protested against the network's tax policy on social media. Since then, a mediation was held between the two camps, wherein the network introduced and offered a new Project Employment Contract or PEC. Under this, talents of the network will have similar benefits as that of regular employees. However, there's a duration weighted in the said contract which states its start and end date. Also, talents will have to wait for a period of 3 months without pay and no guarantee of another show. Other benefits such as monthly rice subsidies and medicard are also exclusive only to executive producers. The issue over regularization has long been a concern of many talents, one longtime Kapuso talent said. "Bali-baliktarin man nila ang mundo ay hindi nila maipagkakaila ang existence ng employer-employee relationship," said this talent, who asked not to be identified. "Kaya ang hiling namin sa ngalan ng ibang naiipit sa kanilang kalagayan bilang mga 'por-piraso' na mga empleyado ay pangalagaan man lang sana ng network ang aming basic needs." "Talents are considered to be the second-class citizens of the network," said TAG President Christian Cabaluna in an interview with Media Newser Philippines. "We can't be given anything fair and equal that the regular employees are getting." Cabaluna, who is also an associated producer for the award-winning public service program, Imbestigador, noted that members of TAG have been loyal to the network despite the said labor malpractice. One of them is Chloe Ben, the first casualty of the PEC. The network did not renew her talent contract after she refused to sign the new project-based contract. She was part of network for more than 12 years as head coordinator of Sumbungan ng Bayan, the service arm of Imbestigador which was then called Imbestigador Action Center. Like many members of TAG, she showed no inclination to compromise. “When you are faced with the danger na mawalan ng kabuhayan, sino naman ang hindi panghihinaan ng loob?" she said in an interview with Philippine Entertainment Portal. 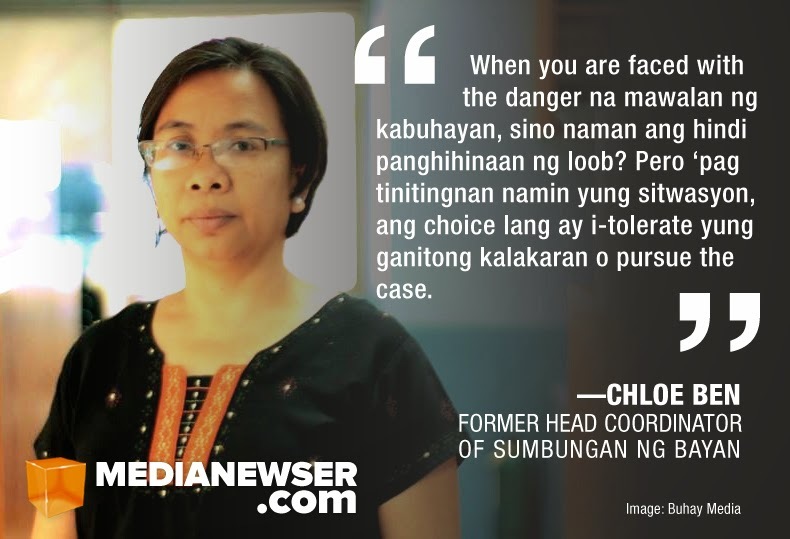 "Pero ‘pag tinitingnan namin yung sitwasyon, ang choice lang ay i-tolerate yung ganitong kalakaran o pursue the case." Other notable members of TAG are Jayson Bernard Santos, EP of the critically acclaimed series Ilustrado; Sharon Masula, EP of the Peabody award-winning Reel Time documentary Salat; and Joni Mosatalla, EP of the U.S. International Film and Video Festival Gold Camera awardee Wagas. In an interview with Manila Today, Atty. Regino Moreno, legal counsel for GMA-7 in the case, maintained that the allegations are baseless, saying: "We have provided them with all the benefits due them under the contract, so there is no such thing as unfair labor practice." The media is known as the watchdog of society with regard to the problems in it, including labor malpractice, and yet top broadcasting companies are the primary violators thereof. To be fair, this has been an industry-wide problem for so long, not only on GMA-7. But how long do these soldiers have to suffer because of the "bulok na sistema"? Isn't this the right time to improve and revise the system? Kapuso Network remains the undefeated champ in the ratings rat race and its news division played a major role in securing that top spot, not to mention those international awards. 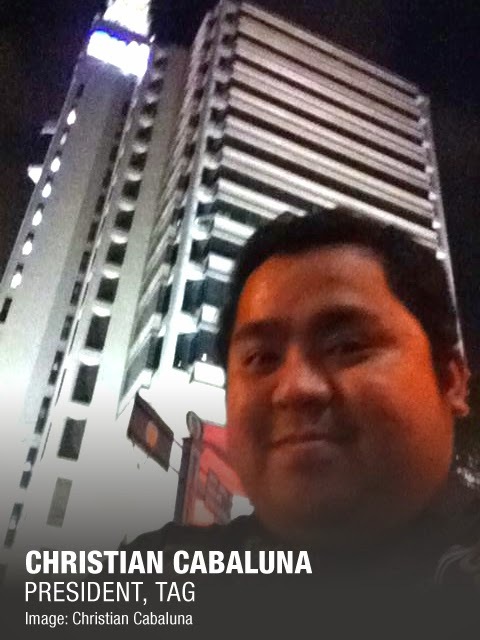 While top managers at the network can say that they can easily replace these "talents," no one can deny that without them and their contributions, GMA-7 wouldn't be the same powerful network that it is today.